I adore Christmas, when you finally get hold of your presents and it's so beautifully wrapped, finished delicately with a ribbon tied neatly in a bow. Then, there's the excitement of what's inside. Today, it seriously felt like Christmas for me. [ADVERT]I read approximately four books a month. Proper books too. With real pages! No kindles or iPad apps for me. The smell of an old book is possibly one of my favourite things and I suppose I love the idea of keeping them all for a future grand bookcase. 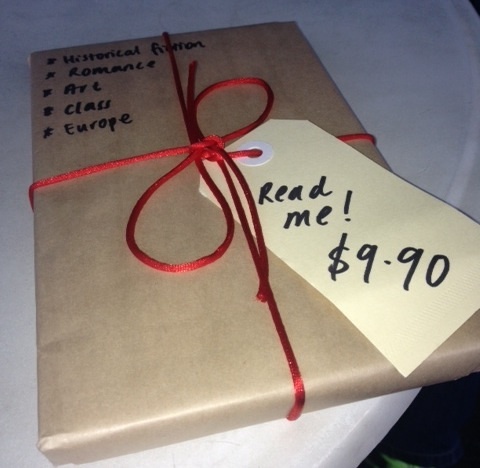 You can imagine my face when I walk in to Elizabeth's Secondhand Bookstore in Fremantle, and I see small packages all wrapped up, obviously waiting for me. "Try a blind read!" said the label. And what a wonderful idea this is. Sometimes you get so accustomed to what genres you like to indulge in, you don't try anything new. Hands gesticulating in crazy, enthusiastic movements, I took my pick of the presents. There are some one worded clues written on the paper, but nothing to substantially give the game away. Paying rather swiftly, I ran to the cafe opposite. I just needed to know what I was about to commit to and desperately didn't want to be dis-heartened by what I had chosen. I wasn't. 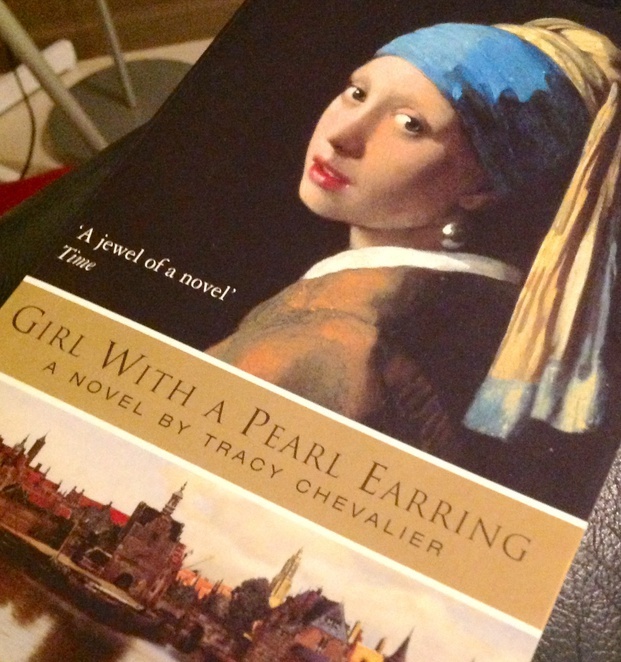 It seems that fate assigned me Girl With A Pearl Earring, a heard about gem that was on my to-read list. I think this is a reading revolution. Why not try it? It's exciting to not really know what story is about to unfold before you. What story will yours be? What a great idea - makes it easier to try new books you'd normally pass by! This is the best idea a book shop has come up with.